I made a cast, popped the popper a few times and then I lost it as a wave broke so I started stripping really fast to catch up to it. When I finally caught up to the fly, I felt weight so I set the hook and the fish took off. She got me 20 yards into backing then I brought it to the jetties. She came to the surface and rolled, I though she was a medium sized red, then she took off again and got me 10 yards into backing. I continued reeling her in and finally landed her. Caught on a black bass popper. 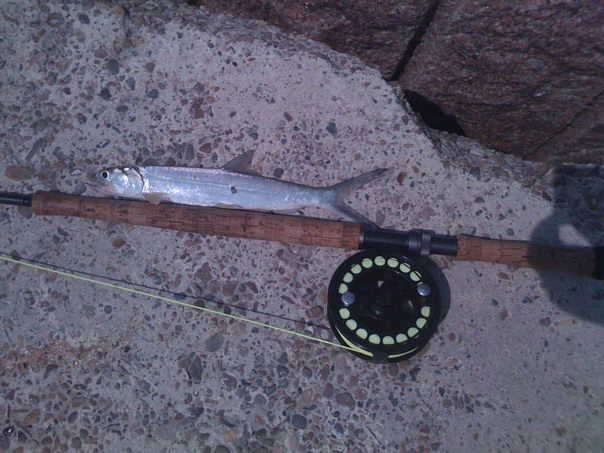 This skipjack was my first fish caught on a spey rod. 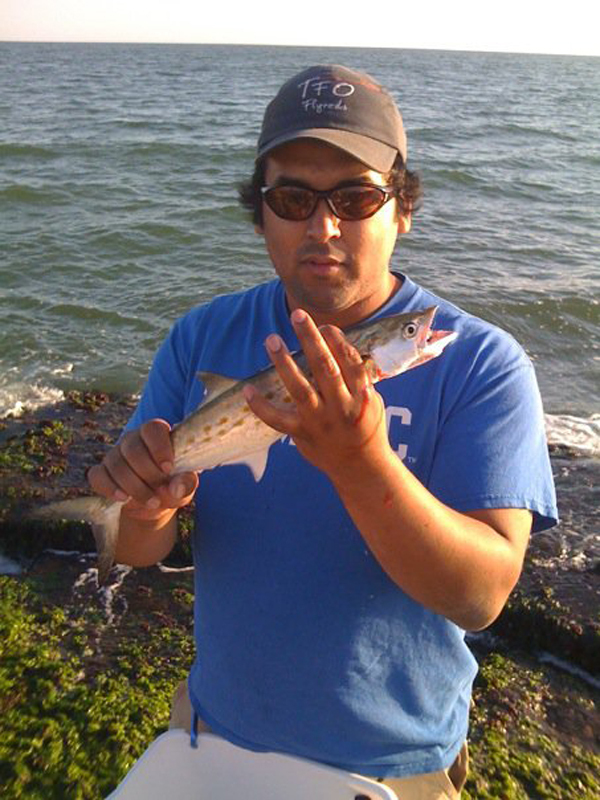 Spanish mackerels caught on a 6 wt TFO.